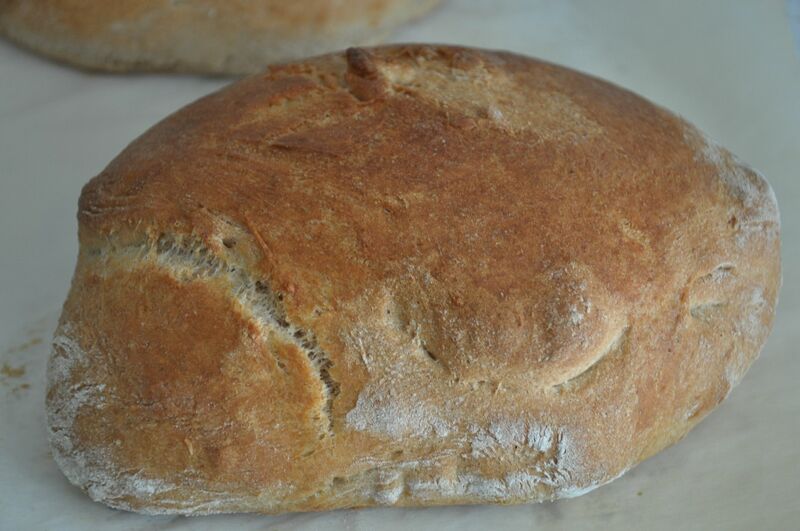 This has got to be one of the easiest ways to bake bread at home. 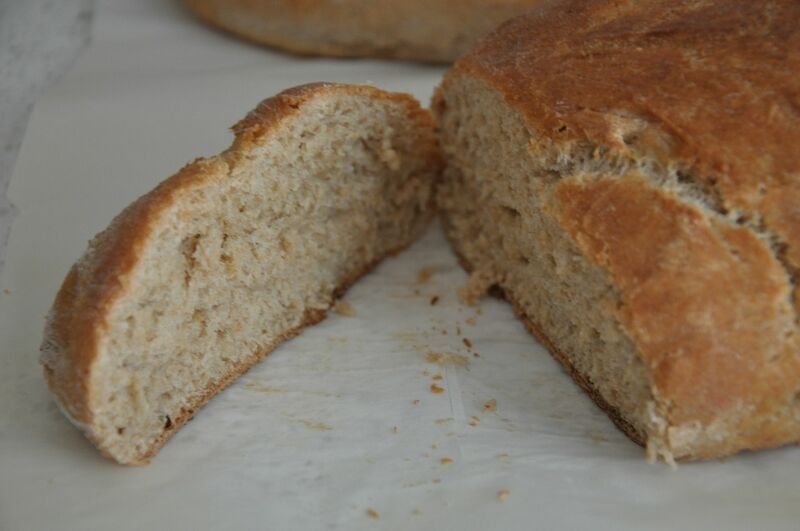 Place yeast and warm water in mixer. Add the rest of ingredients and mix with the paddle at slow speed for 5 minutes. Cover and let it sit to rise for 40 minutes. Mix for an additional minute. 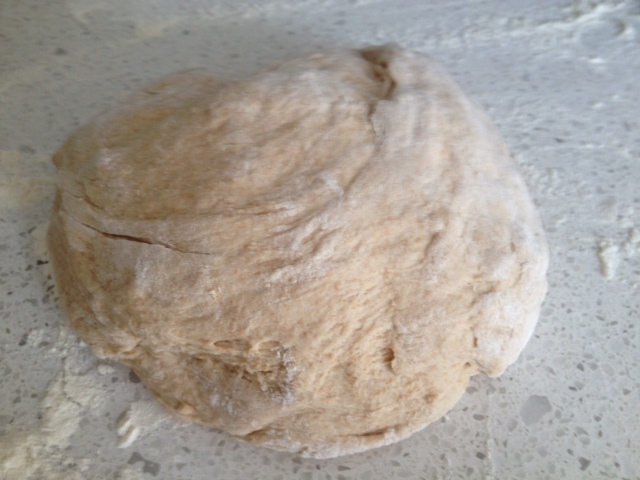 Place dough on flour covered surface and split into half to make two loaves. Place on a lined pan and let them rise for 20 minutes. Slit tops and brush with olive oil. Preheat oven at 415, put in bread and lower heat to 400 to bake for 30 minutes. Ovens vary so keep an eye on it!